Since the inception of Uber, transportation has become easier making life simpler and more convenient. Passengers can hail an Uber from the comfort of their homes and offices. In no time, there was a demand for scheduling Uber rides before time. People needed to be able to pre-schedule ride requests to help tackle their busy schedules. This prompted Uber to release the Uber booking feature to enable passengers book Uber. The Uber booking feature greatly improved the service as users now have the option of booking an Uber cab even for future use. 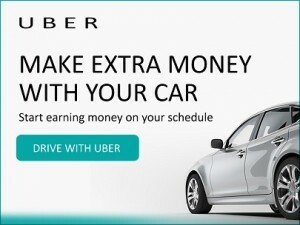 If you experience problems using the Uber booking feature to schedule rides, the third party app called Kommen can book Uber rides on your behalf. With Kommen, you can tackle busy schedules by booking Uber rides for up to 30 days away. So, plan your week or entire month by creating a log where you list daily ride requests on the Kommen app. Log into the Kommen app once with your Uber account and we will subsequently call rides for you. The kommen app works hand in hand with the Uber app to help you get the best out of using the Uber service. With Kommen, you do not have to worry about getting an available Uber driver when needed. The Kommen app monitors the Uber network on your behalf to request a ride for you. Even when your driver cancels, Kommen immediately books another driver for you. Kommen eliminates the downsides of Uber like the waiting period before a driver becomes available.